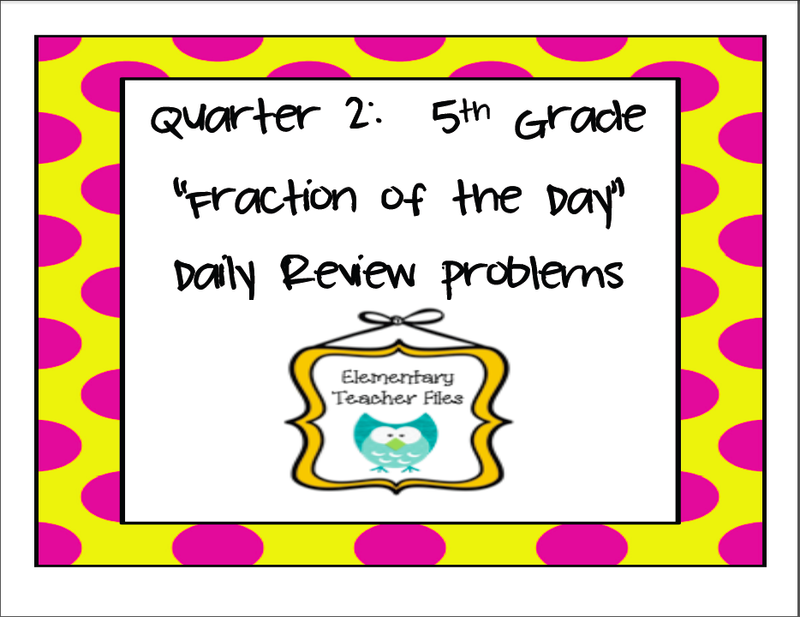 2nd Quarter (another 9 weeks of fractions) Now Available at my TPT store! I’m so excited to participate in my first ever Blog Hop! 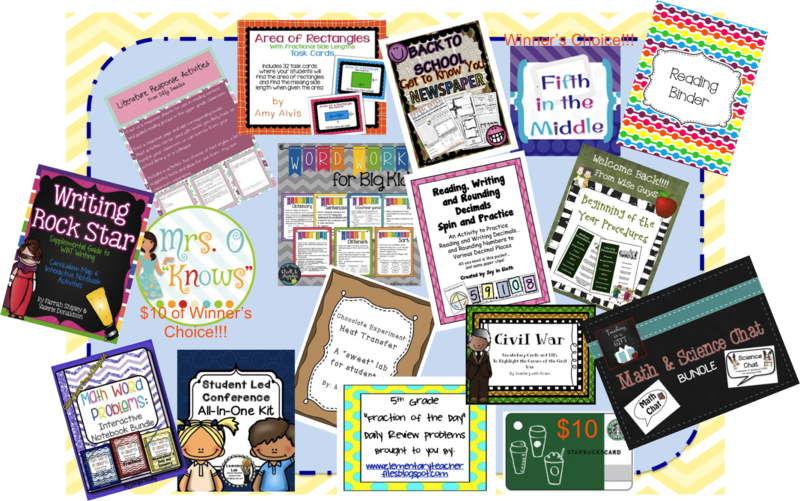 I'm joining other fabulous 5th grade teachers to offer this Back to School Blog Hop! 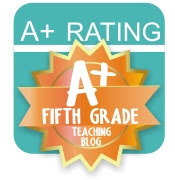 I remember my first day of teaching 5th grade, I was unsure and intimidated! I was a K-2 teacher previously so jumping to the "big kids" at a new school was a beyond nerve-racking experience!! The kids were so big and I was the "new teacher" in the building. I felt like they could smell my fear. I knew pretended like I knew I was the one in charge so I began teaching procedures like I've done every other year with K-2 students. Well...I learned in the first hour, on the first day of school that modeling the "don'ts" of chair behavior/raising hands is unnecessary in 5th grade. BEFORE I learned this humiliating valuable lesson, I demonstrated for the class what NOT to do (jump/climb out of your chair trying to get my attention). I demonstrated this using my rolling chair not the brightest idea on my part. I landed in the chair wrong and fell out of the chair and into a book shelf. I was completely humiliated wanted to crawl in a corner and die, but quickly recovered, playing it off as if I meant to fall and injure myself. The positive in all of this was, I never had students trying to climb out their seats that year. 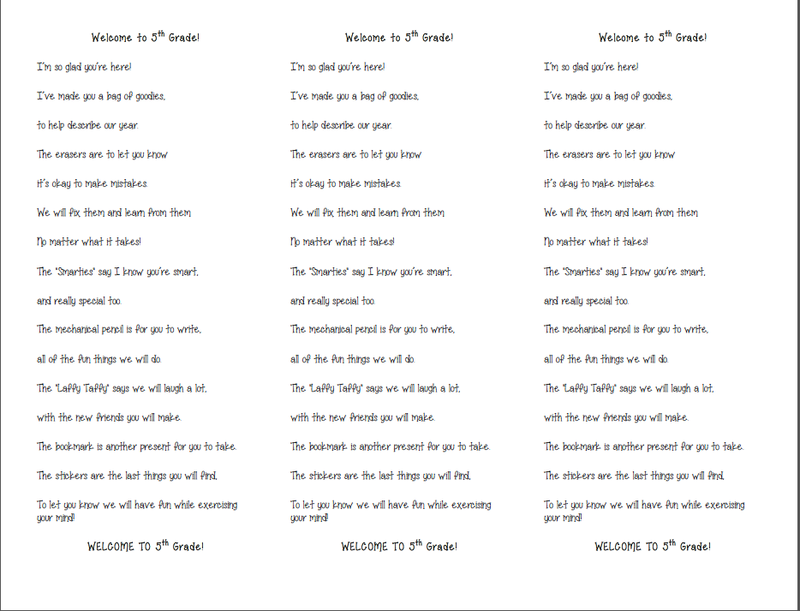 :) The long and short of it is, 5th graders need routines taught in those first few days; just pick and choose the "bigger" routines to teach because it's not their first back to school "rodeo" like the smaller kids. It also helps to remember 5th graders are just as nervous as you are; however, you're in charge and it's not always going to go as planned. Typically, nothing is ever perfect on the first day, just don't let them see you sweat...you meant to do "that". In hopes of getting your year off to a great start, grab my freebie by clicking the picture below. 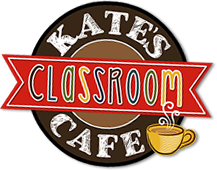 You can see more great Back to School tips by visiting Kate over at Kate's Classroom Cafe. Our group of bloggers has a great pack of goodies to send to one lucky winner to help your year get off with a bang!